Teenage Mutant Ninja Turtles Stretch N' Shout Leonardo Figure Just $14 (30% Off)! You are here: Home / Great Deals / Amazon Deals / Teenage Mutant Ninja Turtles Stretch N’ Shout Leonardo Figure Just $14 (30% Off)! Teenage Mutant Ninja Turtles Stretch N’ Shout Leonardo Figure Just $14 (30% Off)! 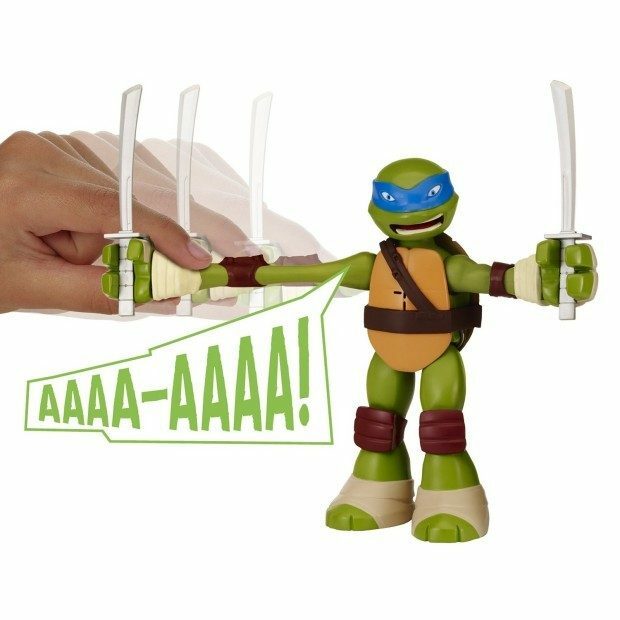 Head over to Amazon and order the Teenage Mutant Ninja Turtles Stretch N’ Shout Leonardo Figure Just $14 (30% Off)! Chosen as one of the best toys for 2015 by Parenting magazine! Prime members and orders of $35+ get FREE Shipping! Hear the “Battle Shouts” of the Teenage Mutant Ninja Turtles! Stretch these Turtles’ arms a little and they continually shout. Stretch the arms farther and farther and listen as they shout higher and higher!